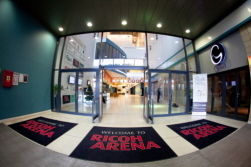 SPATEX organisers have announced that the 23rd outing of the wet leisure showcase will be a ‘sell out’ and include a specialist spa maintenance day as part of the enhanced training at the Ricoh Arena. With just over three months to go before the curtain rises on the 2019 instalment of SPATEX, running from January 29 to 31 in Coventry, the organisers have proclaimed that there has been huge demand for exhibitor space and that the stage is set for a vibrant and engaging event bursting with a whole host of new elements, as well as including a full day dedicated to helping hot tub and spa professionals to gain professional maintenance advice and guidance. 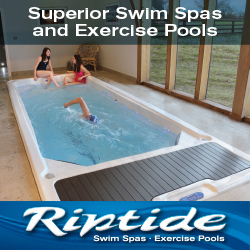 Those attending the first morning of SPATEX, on Tuesday, January 29, are also being informed that Martin Rigby of Complete Pool Chemicals is scheduled to outline the impact of the Health and Safety Executive’s HSG282 guidance on the hot tub market during his session entitled ‘HSG282 What you and your spa customers need to know’, which has been scheduled from 11:45am to 12:05pm. If you are visiting the exhibition early on the second day, Wednesday, January 30, then you may be interested to know that Howard Gosling FISPE is scheduled to conduct his seminar on ‘How will BREXIT affect the transport of Dangerous Goods Regulations?’ from 10.15am to 10.35am. Visitors to the third day of SPATEX, will be invited to discover the importance of frequent microbiologically testing by attending the early afternoon seminar by Allen Wilson FISPE, running from 12:15pm to 12.45pm, entitled ‘Why We Must Regularly Microbiologically Test’. On January 29, The Swimming Teachers’ Association (STA) will be holding an important Pool Plant Conference during the morning, from 10:30am to 12:05pm on; followed by a double animal hydrotherapy session, scheduled for 12:15pm to 2pm by Howard Gosling FISPE and Alison Wills from Hartpury College. Liz Holmes of Commercial Spa Strategies is then scheduled to provide advice on how to increase the profitability of a spa facility in a half-hour session on January 30, which is scheduled to commence at 11:30am. Back by popular demand on Tuesday and Thursday lunchtimes is the ‘Mega-Demo.’ These fun demonstrations run by ISPE will feature various aspects of water testing, allowing delegates to get ‘hands-on’ with equipment, alongside experts demonstrating the ‘dos and don’ts’. In addition, on the Tuesday afternoon there will be a live demonstration of how to install, service and repair, both filters and pumps for domestic pools. This has been organised as a ‘must-attend’ session for any pool engineers who are concerned with on-site servicing and maintenance. Ahead of helping to host the next outing of SPATEX, organiser Michele Bridle has declared that the exhibition, which has a special significance of being the 20th edition of her being involved in, will have ‘something for everyone’ when it comes to the enhanced list of workshops and seminars. “For 2019, the esteemed Institute of Swimming Pool Engineers (ISPE) has once again come up trumps in designing its own, much-loved technical workshop programme,” said Michele. “This year, there are 22 different sessions running throughout the three days of the show including 18 new titles. There’s something for everyone! “The talks cover every aspect of water leisure and cater for professionals from every discipline and sector, both domestic and commercial. Michele and the SPATEX team will be available to discuss the 23rd edition of the exhibition during Piscine Global, running from November 13 to 16 in Lyon. To arrange to meet with the SPATEX team at Piscine Global, or for stand bookings for SPATEX 2019, contact the SPATEX team on their mobile telephones, Michele Bridle’s number is +44 (0)7785 79 33 66, or Helen Mulingani on +44 (0)7899 893 635), or via email: michele@spatex.co.uk or helen@spatex.co.uk or directly by telephone on: +44 (0) 1264 358558.